CSL players showed what they're made of at a higher division. F.C Motown players, fans and coaches posing for a picture with the Northeast Region trophy. F.C Motown Images. 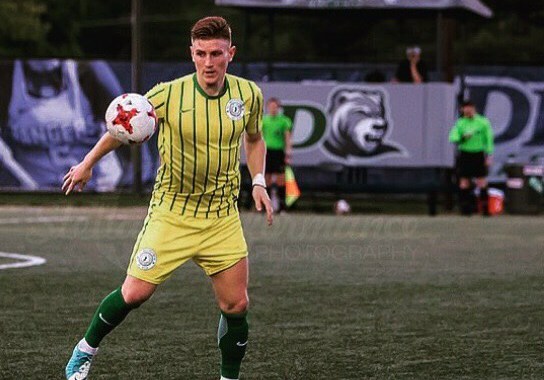 Instead of resting, icing and catching up with their girlfriends during the off-season some CSL players competed in a higher division in the U.S soccer pyramid, the NPSL (fourth division). It was only about 48 of them in the 98 teams of the NPSL but it wasn't hard to hear when they kicked the ball. The club that had the most CSLers, F.C Motown--10 of their starters are CSL players--reached the national final, Cedar Stars Academy and Motown midfielder Matthew Nigro won the NPSL Ballon D’or while two of his teammates, Dilly Duka and Hani Nasr made the Northeast All-Region Team. As far as the league knows, five different NPSL clubs had CSLers: New York Athletic Club (13), Kingston Stockdale F.C (1), Brooklyn Italians (4), New Jersey Copa F.C (2) and F.C Motown (26). NYAC finished in sixth place in the North Atlantic Conference; Brooklyn Italians’ season was cut short in the North Atlantic Conference final after losing to New York Cosmos B in penalties; Stockdale ended their campaign in eighth spot in the same conference. Over in the Keystone Conference, Copa finished their season in fifth position; Motown topped the Keystone Conference and ground all the way to the national final but unfortunately lost to Miami F.C. 2, 3-1. M. Nigro noted that Motown’s run to the final is a testament to the quality of the CSL. Cedar Stars Academy and F.C Motown midfielder Matthew Nigro. Nigro went on to explaining that the experience the CSA players gained in their path to the NPSL final will benefit them in the upcoming CSL season. Although he only found the net twice in the past CSL season, M. Nigro was the best CSL scorer in the NPSL, racking seven goals. He also registered 12 assists, which earned him the NPSL Ballon D’or. M. Nigro’s Cedar Stars teammates Hani Nasr and Dilly Duka made the Northeast All-Region team. Duka is the joint top CSL scorer in the NPSL alongside M. Nigro, tallying seven goals, including one in the final. Kene Eze, 2017-18 CSL top scorer Christopher Katona and Mike Olla were the third top scorers, registering five goals each. 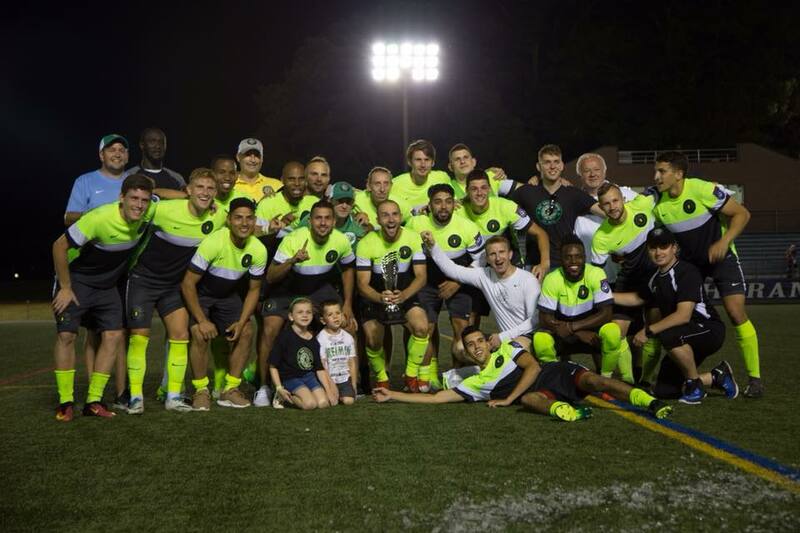 If you were to ask CSL/Motown players for their best memory from the past NPSL season, the number one answer you'd probably get is their famous win over the historical New York Cosmos' second team in the Northeast Region final. The Celtics opened the scoresheet with three straight goals in a little over 20 minutes in the middle of the second half, thanks to CSlers Walter Calderon (53rd minute), Katona (61st minute) and Duka (77th minute). The Cosmos struck back with two goals but their time was cut short. Hence with a hardfought 3-2 win, the "CSL All-Stars" crowned their prestigious season with the NPSL Northeast Region title. "It was in their stadium and the way we did it, it took some courage," M. Nigro said. "We battled for 90 minutes. It felt great winning the region." Aforementioned Motown didn't go on to win the whole league as they fell to Miami in the final but this past campaign was without a doubt the CSL's most succesful season in the NPSL.